1. 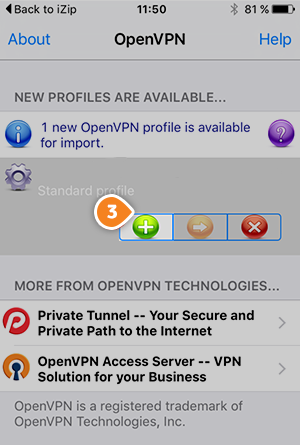 In order to set up OpenVPN on iPhone or iPod Touch you will have to install the OpenVPN Connect app. 2. 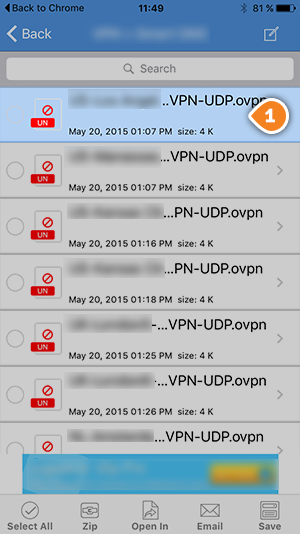 Download the OpenVPN config files (UDP is preferred) and then extract the downloaded file. 3. 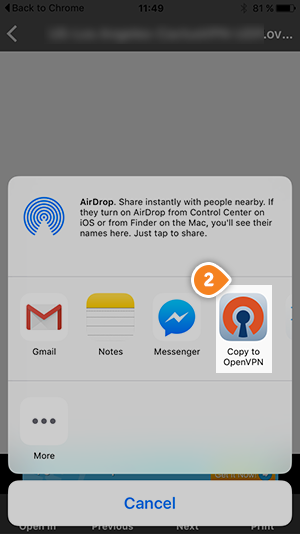 Open the folder with the OpenVPN files and choose the configuration of the server that you wish to use (1). 4. 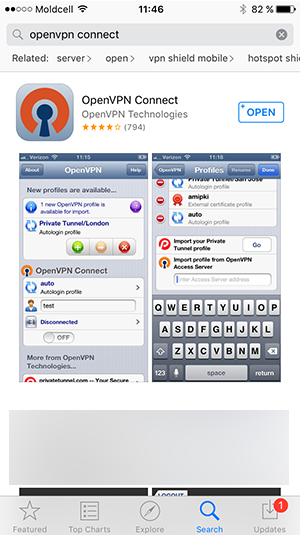 Select option “Open in” and tap on “Copy to OpenVPN” (2). This will start OpenVPN application and set up the config file. 5. Once the application start you will find the downloaded configurations that are ready to connect. Now tap on “+” button (3) to set up your connection. 6. 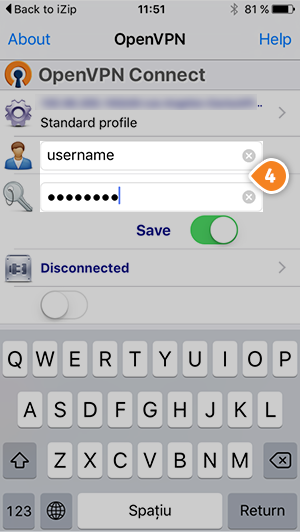 In the username and password fields (4) type your VPN username and password, then click “OK”. Assure you use your VPN username and password listed on your Active service, NOT the client area credentials. Tap on “Save” if you want to save them. 7. Your OpenVPN connection is now created and it is ready to use. To connect to VPN simply switch the jumper under status “Disconnected”. To disconnect switch the jumper back.